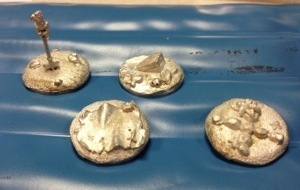 I got a chance to make up some objective markers for me pirates. They need a bit of paint and some rules writing. Still working on those Carib Indians also. And I think I found a shaman mini. Once thought to have been wiped out by the Spanish, Carib Indians have once again been spotted in the Caribbean. Living secretly in deep jungles of isolated islands, these dangerous foes await the unwary landing party. This is the first group of 5 minis that will harass the adventurers. More to follow along with stats! 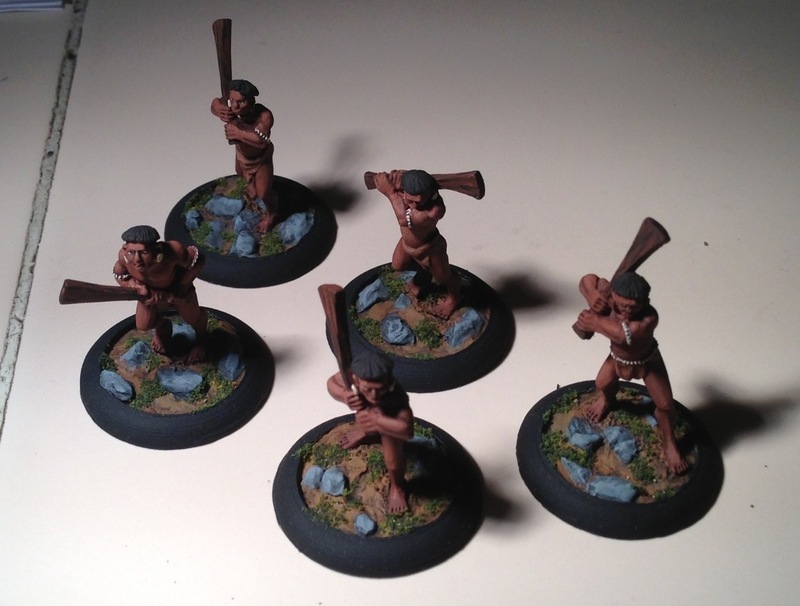 The minis are Copplestone Castings’ Botocudo Indian warriors. I gave them a loincloth scrap of clothing from greenstuff and painted them up with Reaper paints.